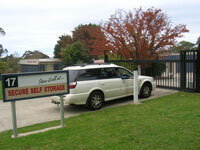 The Secure Self Storage facility is located at 17 Livingstone St., Lawson in the Blue Mountains. 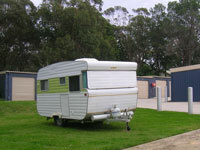 There are five nominal sizes of storage units. The dimensions shown are typical - some are a little larger than the nominal size. 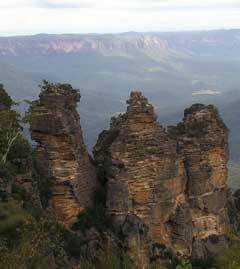 Cubic volumes are also typical. 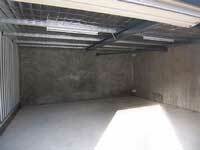 Wall heights are generally around 2.4 metres - the highest storage units are around 3.1 metres. Prices shown are per calendar month and include GST. Prices are effective from 1st July 2018 and current to 30th June 2019. 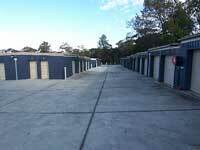 The storage units are managed by Theo Poulos, Katoomba. You simply enter into a standard storage agreement with them, pay at least the minimum one month fee, arrange your own access code, provide your own padlock, and you can move in. Theo Poulos can arrange payment by direct debit, automatic card transactions, or on-line, if you prefer.